Would you ever think about getting a wedding design with price starts from $400*? Do not miss this amazing opportunity to pick up a wedding gown with great quality and innovative design at a bargain price! 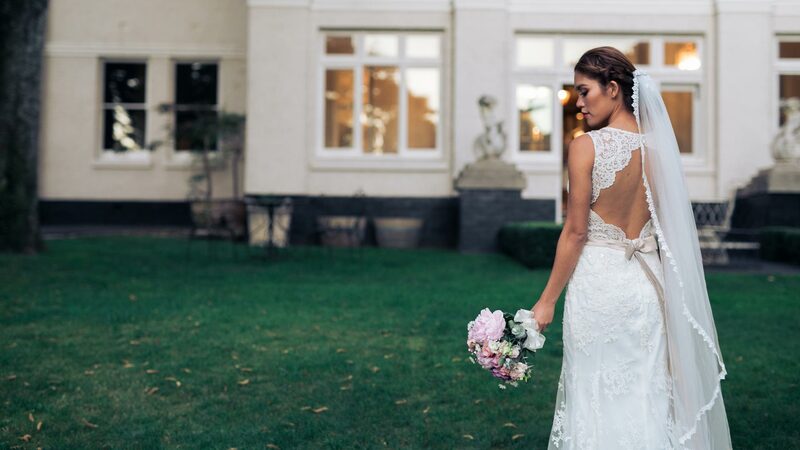 With sample gowns from ranges our previous collections, this sale is a must for any bride-to-be! 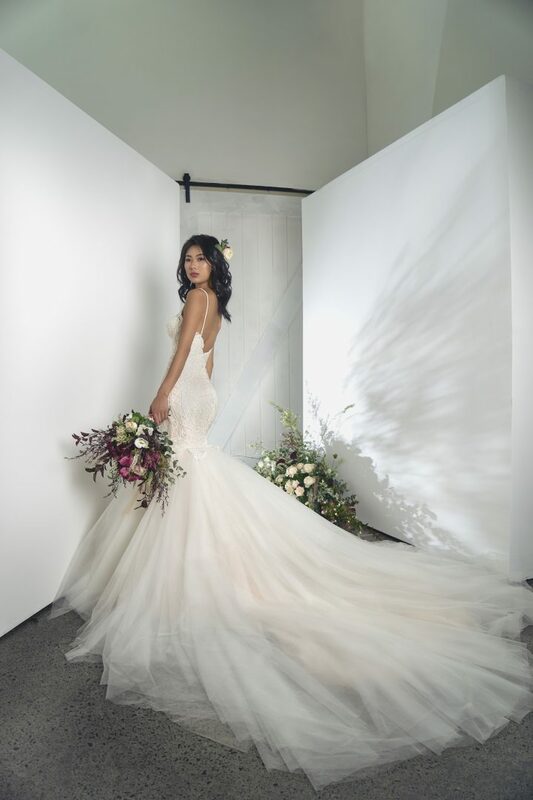 If you do not want to miss this sale out or would like to try on fully priced gowns you will need to make an appointment with our bridal stylist. *Please note any of the gowns are sold in their current condition and will be final sale only. Little alterations are acceptable with a fee. There’s no accessory (detachable skirts, veils, headpieces, gloves, etc.) included. There’s no refund or no exchange policy applied for any reasons. Berina is created through layers of various laces and embroidery sequined net. 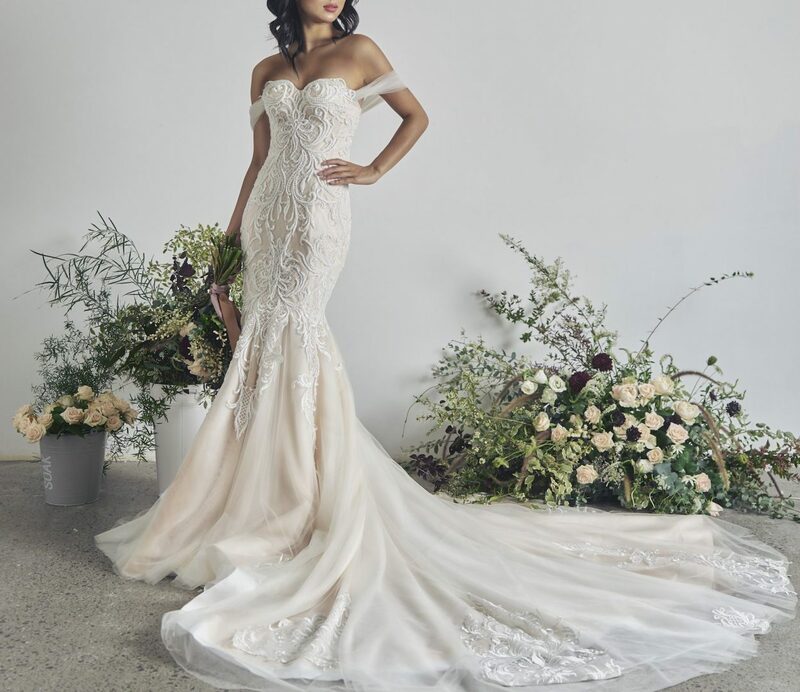 It is made up of several multi-textured fusions of fabric and elaborate lace trim allowing drama and refinement with lace gatherings to accentuate the rear of the bottom. The dress exhibits a deep opened back with transparency bottom which shadows your actual skin up out to create a subtle look. 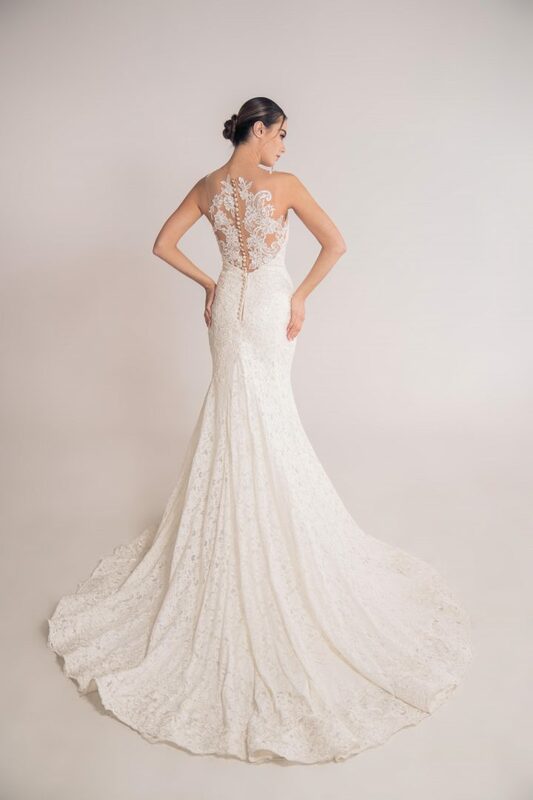 Don’t you just love when a gown is full of amazing details? 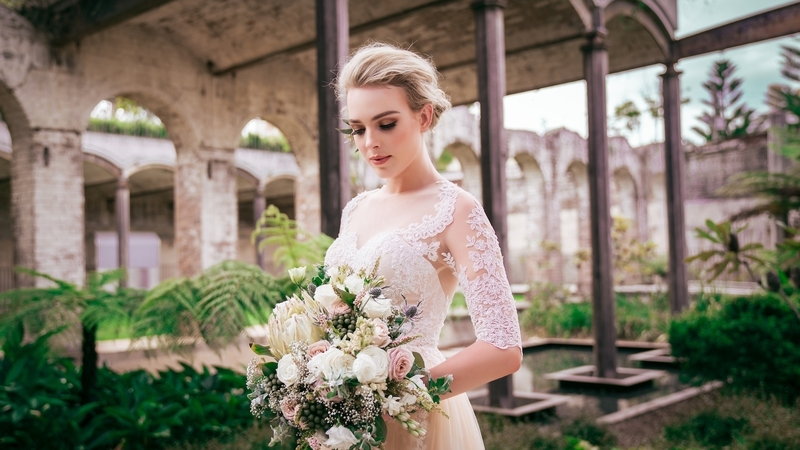 Callie is a dreamy and romantic gown with delicate floral lace applique over tulle princess skirt. Renowned for its glam yet natural-looking qualities, this dress is an absolute luxurious addition to every woman’s magical day. An ivory tank top structure used of richly embroidered lace, and drapes over a body hugging mermaid silhouette. The dress is deep V opening in front with a finest lace accentuates the back embroidered details over the skin tone mesh. A flattering triangular detail in the back allows the train draped down softly.